Love how fast I got in. Everyone was so nice. Did X-ray and saw them right away. Dr Pacheco is awesome. Very friendly and very flexable to get me seen as soon as posible, i belive that Dr. Pacheco really cares and listens to what i have to say. Overall great experience and i would recommend his sevices to others. From the time I entered the office I was treated like a special patient. The administrative staff as well as Dr Pacheco were very understanding, supportive and I could tell my well being was their most important concern. Didn't feel like I was taking up Drs time by asking questions. This is what a visit to the Dr should be about!!! I’ve been to a variety of DPMs. Dr.Pacheco is head and shoulders better than all of them. Awesome visit prompt courteous service, clean professional office. Dr. Pacheco was thorough and informative good chair side manner! Patient portal is so convenient and manageable! Highly recommend! Dr. Pacheco was patient and caring and took the time I needed to understand my options. Dr. Pacheco’s staff fit me into their schedule the day of my initial call. Dr. Pacheco is extremely attentive, thorough, compassionate and very professional. 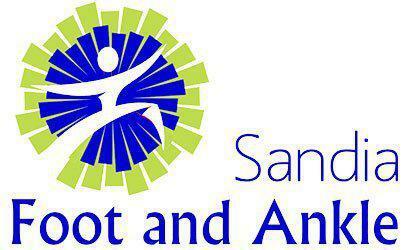 Dr. Pacheco and his staff deserve an excellent rating and I highly recommend Sandia Foot and Ankle. They took great care of me!